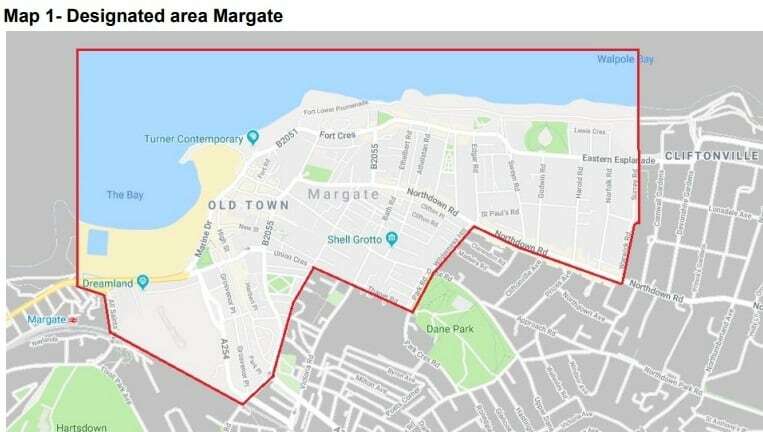 Public Space Protection Orders (PSPOs) to combat antisocial behaviour have been approved for Margate and Ramsgate after hundreds of complaints and enforcement action against people spitting, urinating and defecating in public areas as well as jumping between buildings. 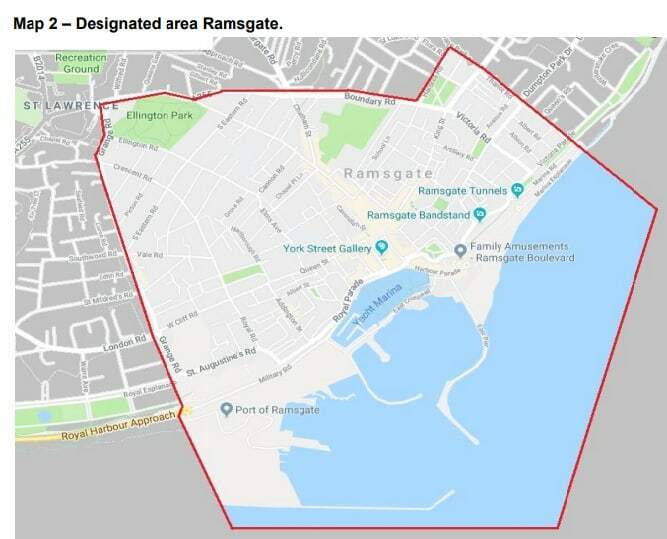 The three year orders, approved by Thanet council Cabinet members last night (July 26) cover Margate Central and Central Harbour in Ramsgate and parts of Eastcliff in Ramsgate and Cliftonville West. A report to council says: “During the 2017-18 financial year Anti-Social Behaviour incidents in the two town centre areas of Margate and Ramsgate have remained high and the council has received complaints from a number of people. This has been primarily due to anti-social group congregation and the misuse of public spaces, which has been adversely targeted towards business and commercial premises. “The council and police have continued to receive a high volume of complaints in these areas and have met several times to consider all available interventions to combat these problems. “A number of tactics have already been utilised in these areas in a bid to combat the anti-social behaviour, which equates to over 150 separate enforcement actions. “This has included; a large number of police dispersals, the application for three civil injunctions, two Criminal Behaviour Orders, 36 Community Protection Warnings and 8 Community Protection Notices as well as the deployment of mobile outreach and diversionary tactics to these locations. “Whilst these tactics have had some impact, the two areas continue to experience significantly higher volumes of ASB than other wards. “In addition to police reports, in the last 12 months, Thanet District Council’s Community Safety Team has dealt with 239 complaints of ASB within the designated areas. In addition to this, the council has had cause to formally take enforcement action for the misuse of public space on 23 occasions. The orders give police and council officers additional powers to take enforcement action against offenders including a Fixed Penalty Notice fine amount of £80 with early repayment of £60. This is the third PSPO order in the district, the two orders already granted in 2017 cover alcohol related disorder and dog offences. 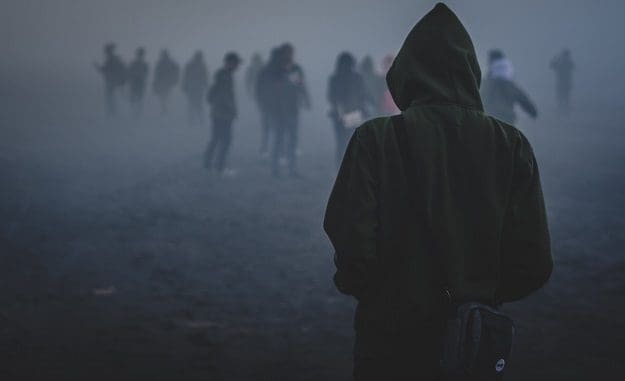 The PSPO will prohibit congregating as part of a group of 2 or more for such duration as specified, when directed not to do so by an authorised officer; on the basis that the behaviour is causing or is likely to cause, harassment, alarm or distress to others in the locality. It will prohibit misusing any public space, facility or installation; when directed not to do so by an authorised officer and that the behaviour is causing or is likely to cause, harassment, alarm or distress to others in the locality. It will prohibit anyone from causing an obstruction, nuisance or annoyance to customers, staff or members of the public accessing or leaving commercial premises. This includes deliberately obstructing any access or egress points, so as to potentially make access to or exit from a commercial premise more difficult. Commercial premises includes but is not limited to licensed food premises, supermarkets, independent retailers, market traders and convenience stores. All persons are prohibited from using foul or abusive language in such a manner that it is likely to cause harassment, alarm or distress to any other person in any public place. All persons are prohibited from excreting bodily fluids, including but not limited to urinating, defecating or spitting in any public place that is not a specified toilet facility. Can this be used to get rid of the beggars in Ramsgate that are devaluing business premises, and making the town look like its in decline! The beggars are moving all the way up to Tesco on Hereson Road now. Can they tackle speeding cars who try to beat the traffic lights and make a short cut through St. Lukes Ave and Salisbury Ave. It’s past a park and a school through a residential area. Always hearing wheel spins and handbrake turns so they can save 20 seconds off their journey.